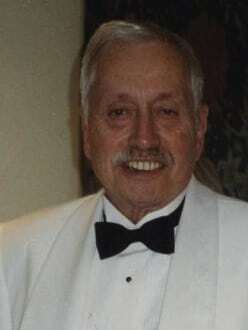 Funeral services for Kermit Murl Beal, 82, Lawrence, KS will be at 10 a.m. Saturday, February 2, 2013 at Corpus Christi Catholic Church	in Lawrence, KS. Burial will follow in Memorial Park Cemetery. He died on Friday, January 25, 2013 at the JFK Hospital in Indio, CA, where he and his wife were visiting during the winter months. Kermit was born on November 10, 1930 in Ottawa, KS, the son of Thomas Murl and Ferne Beatty Beal. He had lived in Lawrence the past 70 years. He was an attorney in Lawrence for many years in private practice. He was married to Sue Reeder on August 16, 1958 in Shawnee, KS. She survives of the home. Other survivors include a daughter, Kim and husband Scott Riddle, of Olathe, KS, two sons, John and wife Maria Claudia Beal, of Shawnee, KS, Mark Beal, of St. Petersburg, FL, a sister, Pat Willenberg, of Albuquerque, NM, and four grandchildren, James Riddle, Blake Riddle, George Beal, and Charles Beal. The family suggests memorials in his name to the Corpus Christi Catholic Church or to the Lawrence Humane Society and may be sent in care of Warren-McElwain Mortuary in Lawrence. The family will greet friends at the church from 9 a.m. until service time Saturday.